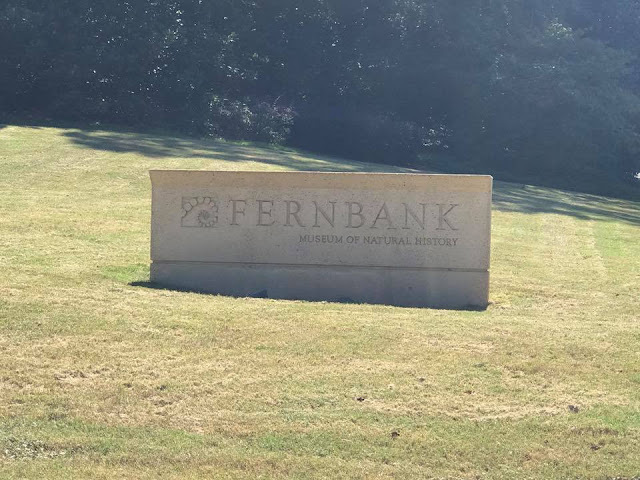 While we were in Georgia, my husband thought the Fernbank Museum of Natural History would be a different field trip opportunity from what we've done in the past, and the kids were excited about it. 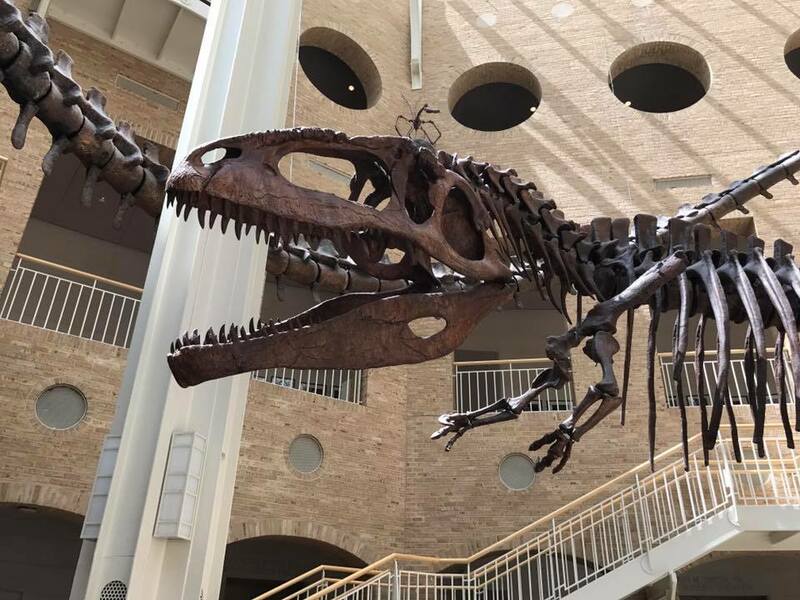 You get a fun welcome, as this is the first thing you really see when you enter Giants of the Mesozoic. The kids liked the "flying" ones up above us too. I got a good full picture, but I didn't realize there was someone else's kid in the background. Husband also got some fun panoramic pictures. Husband got one of all of us, which is nice since I'm usually the one taking the pictures! On the other side of the room, there was a picture op, so of course they wanted to try it. After that, we made our way through the museum. There are a few levels, and we just went downstairs and worked our way up. The World of Shells was interesting. You could see shells of all shapes, sizes and colors from around the world. Outside of the shell room, was the Star Gallery. It wasn't "much to look at" so to speak, and a couple of my kids walked back through without noticing the stars on the ceiling! Reflections of Culture - We'd just started our World Geography study with Let's Go Geography, so it was nice to see so many different pieces of clothing, jewelry, uniforms and such. There were touch screens with questions, something like "If you wear a beard, what does it mean?" with three choices. Then as you choose each answer, it would explain what it means in different cultures. A lot of fun stuff, I really liked this exhibit. Eleanor loved all the jewelry and wanted pictures with it. Her favorite item in the room came from the display on "wealth" or something like that. It was pair of silver, sparkly Jimmy Choo heels. I was too busy laughing to think about a picture. Another really fun exhibit was Sensing Nature, which was full of activities that teach how and why we see, feel, hear and interpret things the way we do. I'm not sure there's anything more fun than bubbles! They played wth acoustics - Daddy was on the other end of the room talking to them in a normal voice and they were having a conversation! Visual effects - trying to touch a spring that doesn't exist. In the weather area, they had the weather channel playing, you could "touch lightning" and learn about electricity. Plus, you could do a weather segment on the green screen, and there was information about how this works. Examining things up close . . . I think this was in the De Soto exhibit. Another photo op with little Eloise this time! We did the Walk through Time in Georgia, which was interesting, but dark and most areas were hard to get good pictures. Towards the end, we came up on a lower room we could see from upstairs in the Sensing Nature exhibit. 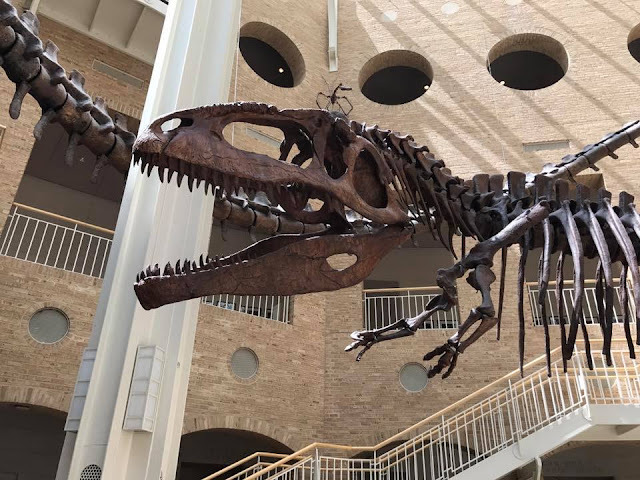 The Dinosaur Gallery . . . In the Conveyed in Clay exhibit, we got to look at a lot of pots, but honestly - by this point, little ones were getting restless. So we headed outside to the nature trails to get back in the fresh air! Had to snap a photo with daddy and the kids, though they decided to be silly. More silly faces, because you know . . . we can't be serious for more than two seconds. Waiting on Daddy and Eloise with the stroller . . . we came around a different way with stairs and beat them back. But one more of the pretty girl! She held out strong, even though we went straight through her nap time. And we let them do the photo booth, because how fun! Daddy had to hold Eloise up and she was barely in a couple, but she loved doing something like that with the big kids. They had a couple of special play/learning areas, but they had designated age ranges. However, one of my kids was too old for the indoor one, and he was the only one old enough for the outdoor one (it was built for tweens), so we skipped them both. I think they are more appropriate for school field trips than families, in that respect. We were also informed that the Special Exhibits were closed because they were between exhibits, so really we didn't even see the "full" museum. Yet, there was still a lot to see and do. It was really nice, though pricey, but a nice field trip over all. 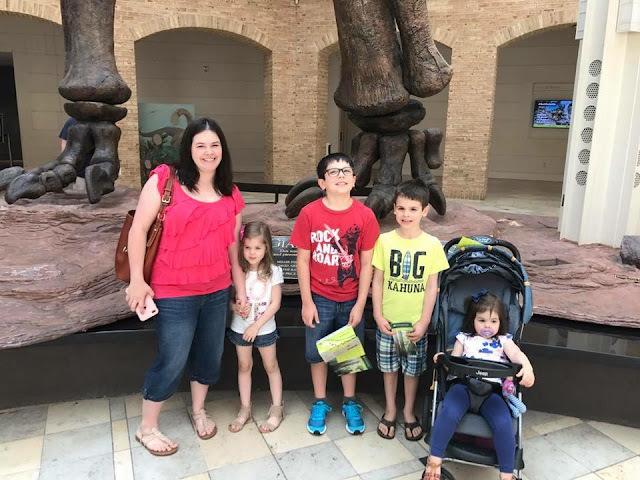 Their website also has printable educational activities and and such, but since this was a Field Trip on Family Vacation, we skipped them. We went on a weekday, late morning. A field trip was just leaving, but other than that, it almost felt like we had the place to ourselves. They didn't even have employees or volunteers floating around as far as I recall. Another thing I want to point out, is that they do offer Homeschool discounts at all times. The information is available on their website, and I contacted about out-of-state homeschoolers, and they answered yes! So they are homeschool friendly, which is a huge plus in my book! Our other big field trip during this trip to Atlanta was the Georgia Aquarium.